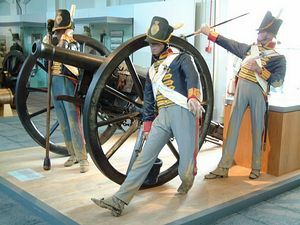 Firepower!The Royal Artillery Museum, is located in the Royal Arsenal, Woolwich in South East London. With its origins as a Tudor shipyard, the Royal Arsenal went on to play a key role in Britain's military and scientific history. Today, the Arsenal is undergoing an exciting transformation and Firepower occupies historic, listed buildings at the heart of a developing riverside residential and leisure complex. 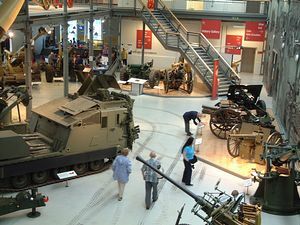 The Museum's displays include historic artillery from Roman artillery and Tudor guns to a Cold War nuclear missile and equipment in front line use with the British Army today. Cannons, missiles, tanks and jeeps provide a truly dramatic backdrop. Temporary exhibitions and an exciting programme of special events ensure there is always something new to see or do at Firepower. 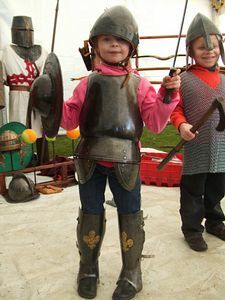 From the Roman Empire to National Service and Napoleon to the Cold War, Firepower in its historic riverside location is a truly memorable heritage experience. A spectacular multi-media presentation using archive film, sound and images to recreate the experience of being a gunner in the 20th century. Archive film and documentary footage projected around the displays create vivid pictures in the minds of the visitors, enlivened further by special sensory effects. From the First World War through to recent events in Bosnia, several key theatres are represented, each associated with a particular regiment or battery. 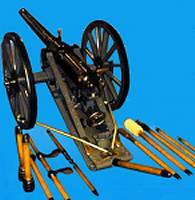 Artillery of the 20th century, from coastal and air defence guns to light artillery and missiles. Enhanced by interactive touch screens giving historical and technical information, archive images, and personal recollections of gunners. Guns familiar to those who served in the Royal Regiment during the 20th century are displayed with appropriate objects, drawings, maps and documents from the collections. 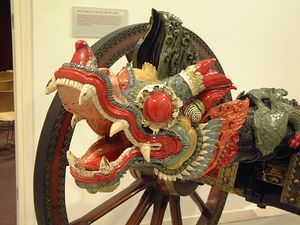 How the great range of artillery weapons was developed during this period, their place in campaigns and the gunners who used them is told throughout the displays. The History Gallery examines artillery from 'slings and arrows' to the technological advancements at the beginning of the 20th century. Interwoven with this story of artillery is the history of the Royal Regiment and of ordnance manufacturing in Woolwich. Regimental records, literature, personal documents and artefacts displayed with the equipments show how they developed, how and where they were used and who used them. Showing the history and development of ammunition, of how it reaches its target, and the change from direct to indirect fire. The gallery has a strong educational theme, emphasising the role that mathematics and science play, and principles will be demonstrated through hands-on interactive displays. Comprising some 7,000 campaign medals, gallantry medals and Honours & Awards, this important collection represents virtually every campaign fought by the British Army over 200 years and spans many countries. 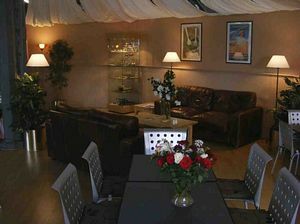 The stories behind the awards are illustrated by paintings, photographs and objects from the collections. 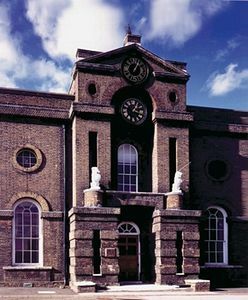 Firepower, the Royal Artillery Museum is located in the historic Royal Arsenal, Woolwich, south east London and is a short riverside walk from the Woolwich Ferry. 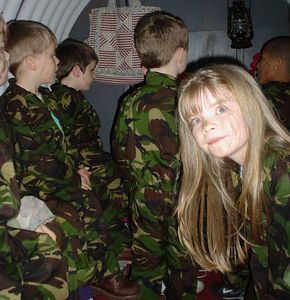 Train or DLR to Woolwich Arsenal stations, only a five minute walk away.On many bus routes too - for London Travel Information contact 020 7222 1234.. By car, the Museum can be found between the A206 and the Thames.